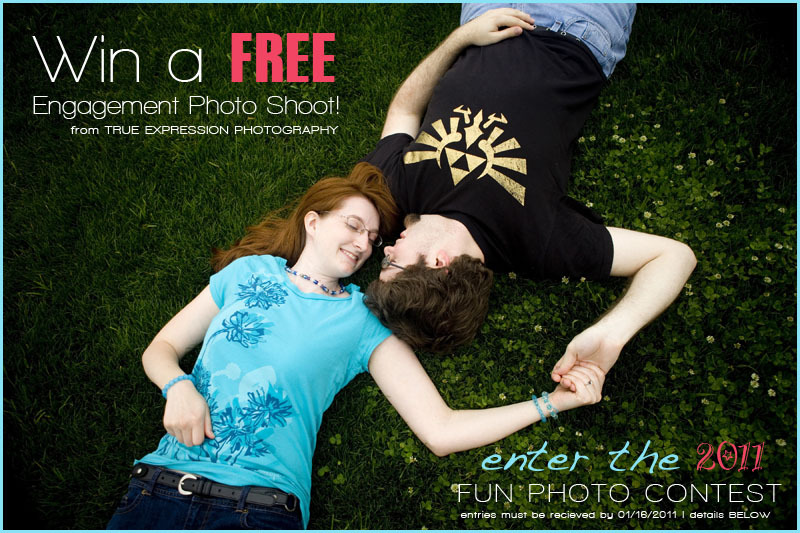 Submit a fun photo of you & your fiancé for a chance to win a free engagement photo shoot from True Expression Photography! I love taking fun photos in unique locations that really show off your personality. For the past two years, I have held a contest asking engaged couples to send me fun photos of themselves. I have loved looking through all of the unique photo submissions and reading your stories behind them so much, that I have decided to bring this contest back for the third year in a row! The contest is simple. Email me a fun photo of you and your fiancé. I will post my favorite entries on my blog and blog readers will vote on their favorite photo. Photos should be fun and creative and will be judged on how well they show your personalities- not on photographic quality. 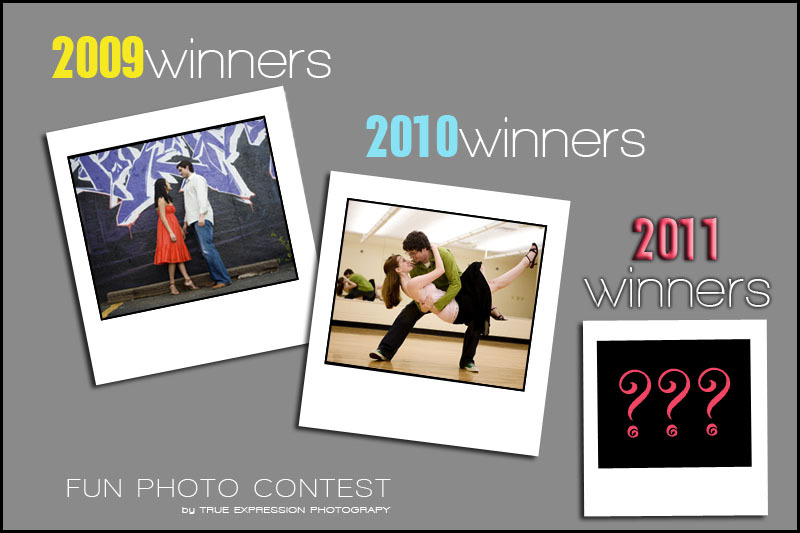 Deadline: Entries must be received by midnight EST on January 16, 2011. So either find the funniest photo your have of you two or take a new photo just for this contest. I can't wait to your photos! Finalists will be announced January 17th on the blog! Good luck everyone! Can't wait to see this year's finalists! !